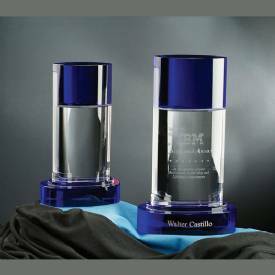 Product Description: Part of the Nik Meller collection,this Seeq Crystal Award is among the finest we have carried. It has a combination of blue and clear crystal and makes a quality statement. 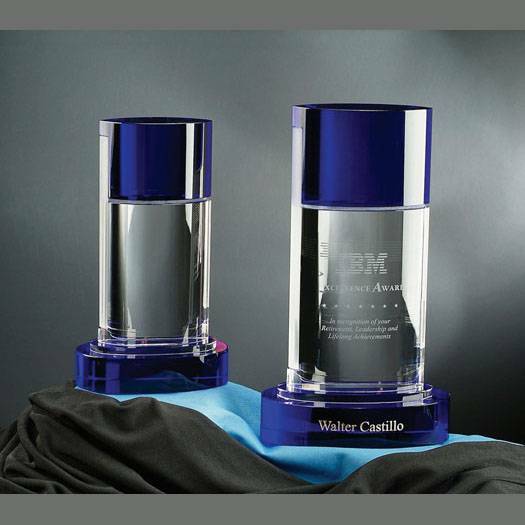 It has plenty of room to engrave your text and/or logo onto this crystal award.